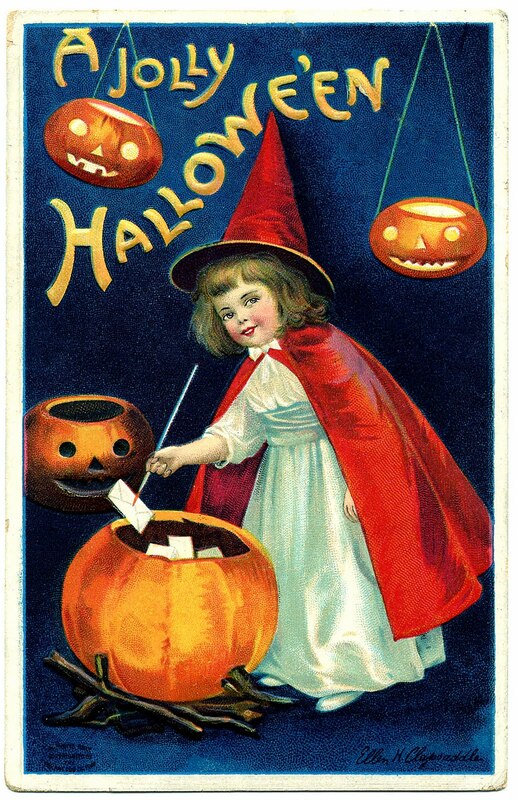 Here’s a cute Antique Halloween postcard, another Ellen Clapsaddle card. 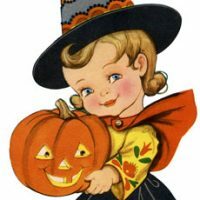 This one shows a dear little Witch Girl with several little Pumpkins. What a sweet face she has! 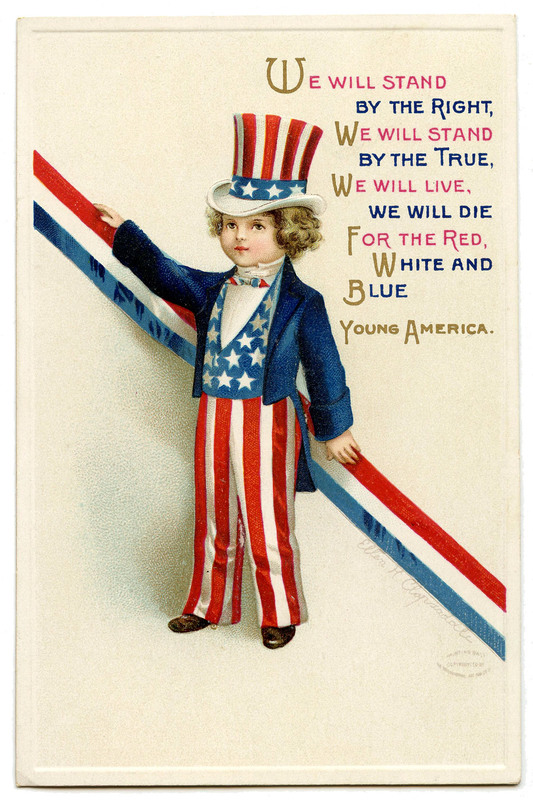 Vintage Uncle Sam Image – Patriotic Adorable Retro Halloween Girl Image! 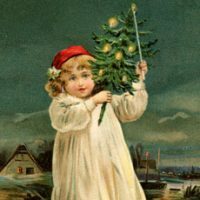 5 People with Christmas Tree Graphics! Love it!! This is so cute! Thank you! I’m off to the fabric store…going to make that outfit for my niece for her halloween costume. She looks just like the little witch! Love Love Love your blog! just discovered it so I’m now a big fan…will return often!